Seventeen-year-old Friday Brown is on the run - running to escape memories of her mother and of the family curse. And of a grandfather who'd like her to stay. She's lost, alone and afraid. I must be one of the only people in Australia who hasn't read Vicki Wakefield's book All I Ever Wanted. It slipped past me last year, and of course, this year I am limited to books published in 2012. It is on my ever growing list on books I have to catch up on though! Friday Brown chooses a life on the street over a life with a Grandfather that kicked he mother out 17 tears ago. She meets Silence, a boy who doesn't speak, and his 'family' or other youth living together in a squat. The story is of the few weeks that she spends with this group, and it looks at a side of society that we don't get to see. It also shows the connections that people make with other people in the same situation, who are at times a poor substitute for a family. Just after I finished this book, I was watching the new series of Poh’s Kitchen, where, on this particular episode Poh worked with an outreach program in Melbourne for youth living rough called STREAT. Seeing this program has probably made me think about some of the feelings I I had after reading this book, and I guess the feeling I have about kids living on the street in general. I know that no one would chose to live on the street if they had a choice, and this program while not going into personal detail too much, made the clear point that of course no one wants to live under a bridge or on a bench, so those kids that do, really feel they have no choice. This scenario would relate to most of the characters in this book, for most of them, their home life was not safe, and this was their only option. Then you have a character like Arden. I know I wasn’t supposed to like her, and I really didn’t. She is manipulative and controlling and is pretty much a modern day version of Oliver Twists’ Fagin. She has very few redeeming features, and as the story unfolds, it does so will a sense of foreboding, where you know that something horrible is going to happen. When I read the book, my one big question was why did Friday chose to live on the street? Yes she had just lost her mother, yes they lived a nomadic lifestyle (but they weren’t on the street), yes she was questioning her place in the world, and the so called family curse, but she had a Grandfather who was willing to support her and provide her with a home. Living in a squat with electricity supplied by an extension cord plugged into the neighbours power supply, and no running water, as well as having to pay $200 a week for the privilege seemed a bit off to me. I could see that the other people living in the house had formed a kind of family unit, and it gave them the security and companionship that made their lives easier, but Friday was a newcomer, and unwanted by many of them, but still she stayed. 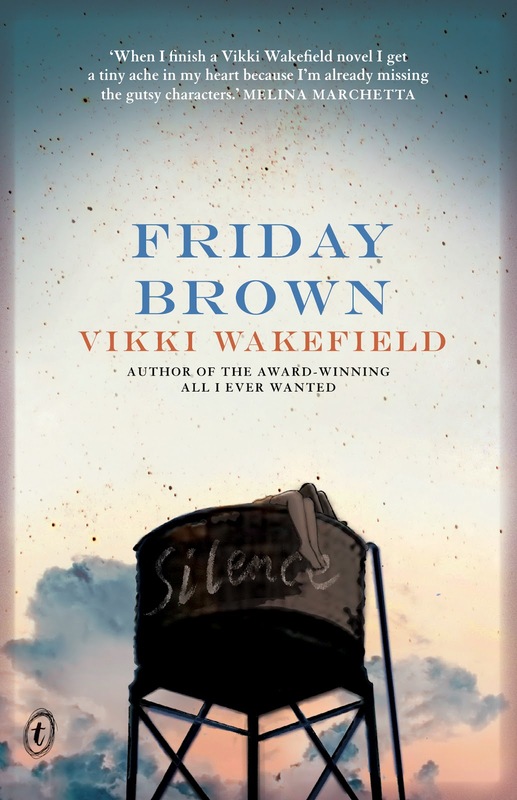 Apart from my feeling that I didn't really believe Friday would chose this life, I did like this book and I found the story compelling. As much as I didn't like Arden, I admire writing that can make me feel so strongly about a character, whether I love them or hate them.